1.1 Where does Great White Shark come from? 1.3 What is indica good for? 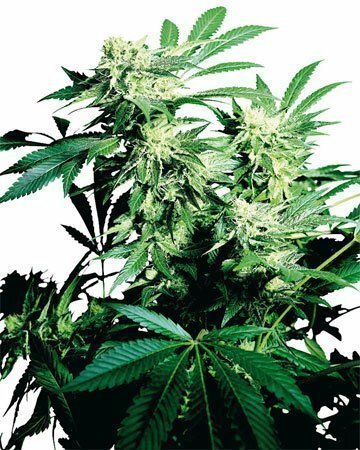 3.2 Is Great White Shark marijuana easy to grow? 3.3 Yield from Great White Shark? 4.1 What does Great White Shark strain taste like? 4.2 How will Great White Shark make me feel? 4.3 Is Great White Shark good for relaxation? 5.1 Best germination method for pot seeds? 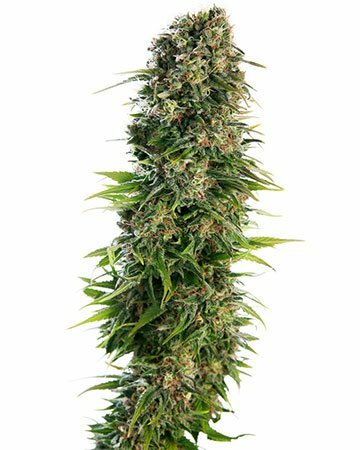 Recognized for its impressive resin content and calming indica genetics, Great White Shark feminized cannabis seeds are an excellent choice. 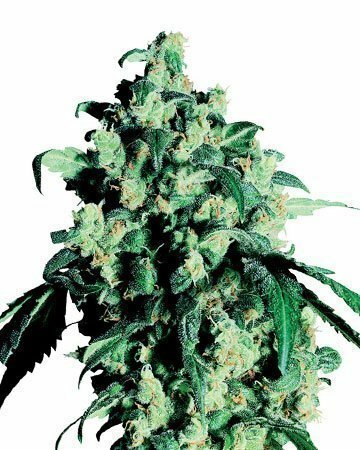 A winner of multiple Cannabis Cup awards since the late 90s, Great White Shark is a popular strain, not in the least for its impressive yields and strong effects despite a moderate THC level. 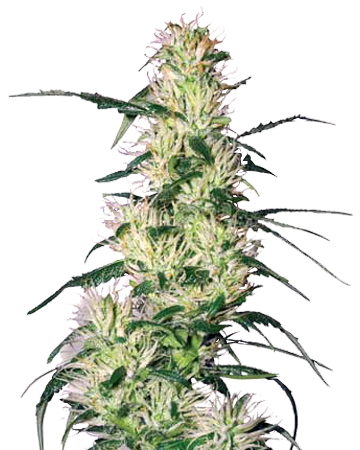 Great White Shark is a cross-breed of well-known Super Skunk and two landrace sativas from South American and Southern India. Despite sativa genetics, our Great White Shark strain is indica-dominant, thanks to the presence of Super Skunk in its heritage. 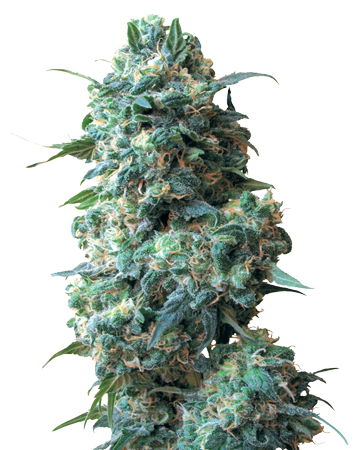 GWS offers many of the same effects as Super Skunk, including deep relaxation and an uplifted, happy feeling. 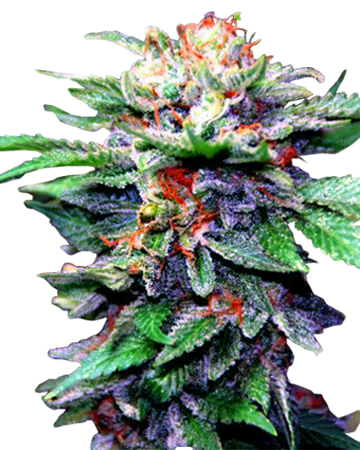 Both strains are also suitable for treating depression and pain, with only minor side effects like dry mouth or eyes. Paranoia and anxiety are rare, which makes this strain a good choice for patients who have experienced these effects from other strains in the past. 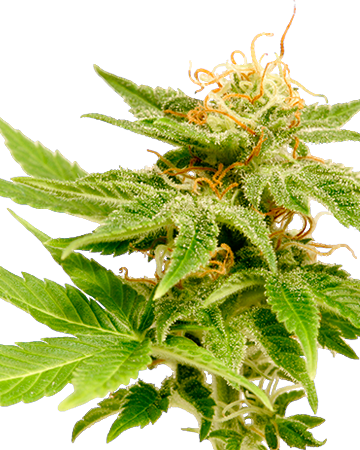 Indica is one of two major species of cannabis, the other being Cannabis sativa. 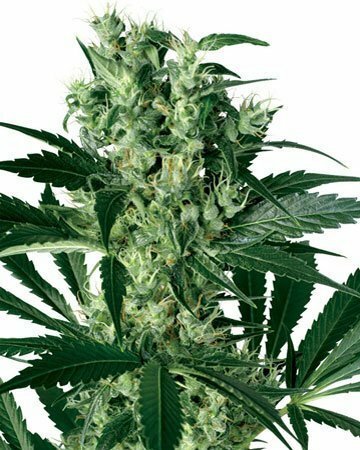 Unlike sativas, indicas tend to grow quite short and stocky, though their studier build and densely packed flowers mean they can hold as much of a yield in their 3 feet as a 5-foot tall sativa. Unlike sativa, which generally increases energy and often comes with a strong dose of euphoria, Cannabis indica promotes relaxation and more of a body “high” than a mental one. Patients often find themselves so deeply relaxed that they experience “couch-lock”. Because of this, indica strains are excellent for treating muscle pain and anxiety. 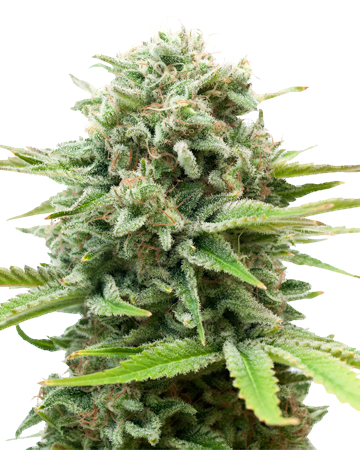 Note that many people assume indica is higher in CBD while sativas are higher in THC – this is relatively unfounded, and both varieties can be bred to boast impressive levels of either cannabinoid. 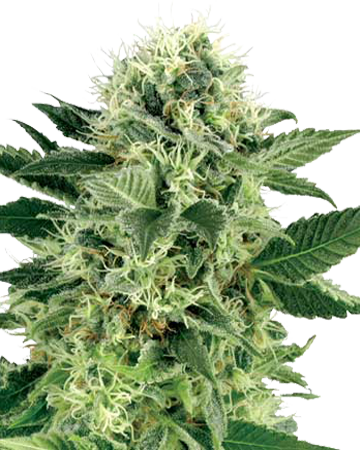 The indica influence is clear in Great White Shark, in the heavy coating of resin from which it derives its name. Lots of resin usually means a more relaxing rather than stimulating strain, and is therefore common in indica-dominant varieties. Minor LST can also increase the amount of resin your plants develop, because trichomes originally excreted this crystal-like substance as a protective measure. 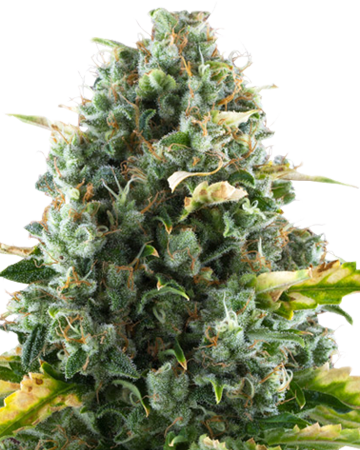 Though Great White Shark cannabis seeds can be planted both indoors and out, this is an excellent grow room strain with which growers generally see little variation thanks to its stability. Expect about a 10-week flowering time for this strain, and remember that indicas tend not to grow too much after the vegetative stage – you want to make sure you’re giving your plants enough time in the former stage to ensure they can support the weight of that heavy yield. As long as you’re willing to put in the time, you should get a very impressive harvest from your Great White Shark plants with relatively little effort. Some growers get great results growing Great White Shark with the sea of green low-stress-training method. Focus on good ventilation, proper amounts of CO2, and ensure your pH is at the proper level at all times. 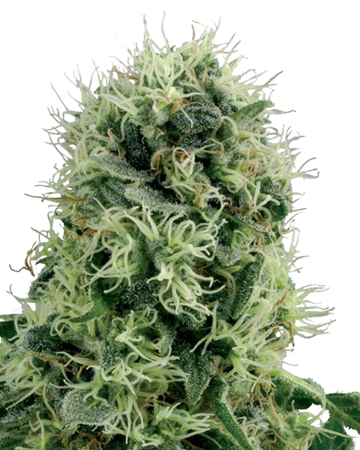 Great White Shark is named for the frosty “white” coating of resin on its topmost leaves and its buds, and also for the jaw-dropping yields it is capable of producing when properly tended. You can expect a yield of about 700 grams of fresh flower per square meter when growing your plants indoors, and up to a whopping 1000 grams per plant in outdoor gardens. That yield is definitely worth the slightly longer flowering time! In addition to a fruit-scented flower that lacks that common pungent smell, Great White Shark offers a mild flavor with a fruity and earthy taste. Great White Shark is an excellent pain-killer. 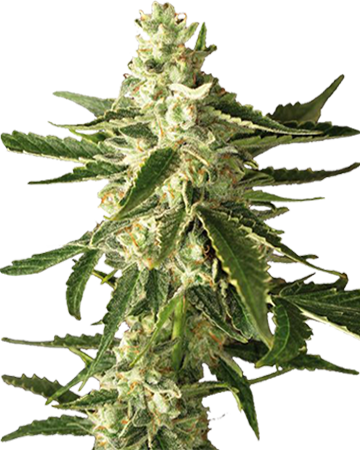 The resinous buds offer serious relief to people suffering from chronic or recurring pain that ranges from mild to severe. You’ll find yourself craving food after a dose of this strain, which means Great White Shark is also a good choice for people undergoing chemotherapy, which is known for decreasing appetite – there’s little more important than eating to keep up your strength when you’re going through a treatment like that. Of course, people dealing with anorexia could also find this side effect useful. 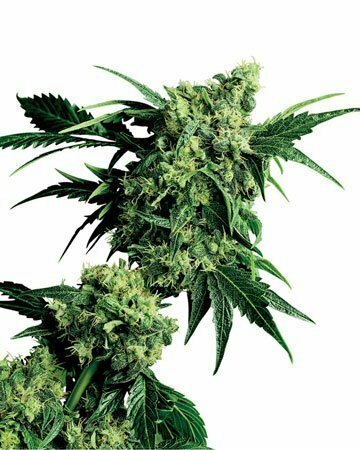 Some patients choose Great White Shark as a way to ease migraines and headaches (first make sure you aren’t someone who finds GWS causes them) and also to alleviate depression. There are few better strains for prompting deep relaxation than Great White Shark. Following your dose (take it easy on this one, since it’s pretty hard-hitting despite a moderate THC level), you should quickly begin to feel the relaxation take effect, enhanced by that thick coating of frosty trichomes. In addition to a deep couch-lock sensation, you might feel your creativity peak, so keep some tools of your artistic trade close at hand. A bit of euphoria from those sativa landrace ancestors rounds out the effects of this powerful strain. 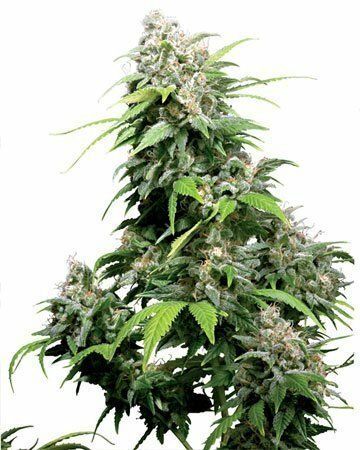 Choose Great White Shark cannabis seeds to grow your own treatment for conditions like post-traumatic stress disorder, as well as stress, and anxiety. 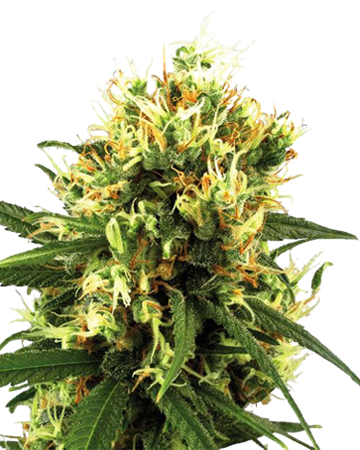 You will find only the finest quality Great White Shark cannabis seeds at Growers Choice. Our seeds come from lovingly-tended plants cultivated by only the best in the business – horticulturalists who have been at it for decades, perfecting their trade. Our seeds are tested and hand-selected for the medical-grade glass vial that is shipped straight to your door in a discreet, unbranded package. And yes, cannabis seeds are legal to order and deliver all over the United States and Canada – ungerminated, they pose no medical or legal issues. 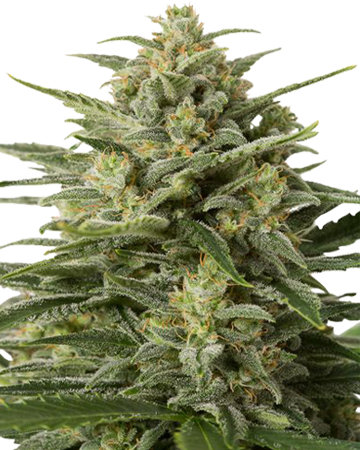 If you are looking for the best Great White Shark feminized cannabis seeds in the industry, look no further than Growers Choice!